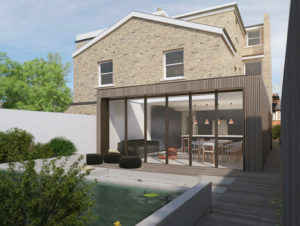 When starting your project and contemplating how long it will take, one of the questions we are always asked is, ‘do I need planning permission and how long will it take’. This is not strictly planning permission, since if your project is simple, such as a small side or rear extension or loft conversion, and if your building is not a Listed building or within a Conservation area**, then you can build without seeking permission first from the local authority. But this can be risky, and you need to be careful to check the rules that apply first, to be sure your project is permissible. Therefore, we generally recommend that you apply for a ‘Certificate of Lawful Development’ in these situations since you will then receive a letter from the council stating that your project is indeed permitted. When you come to sell your house or if a neighbour is unhappy about something you have built then you can use the certificate to demonstrate that the development is lawful. How long: typically 8 weeks. **In a conservation area some work is permitted without the need to obtain Planning Permission, but it is restricted, and you should always seek advice first. If your project is more extensive and involves rebuilding, demolition of buildings, the addition of dwellings, changes of use from residential to some other use or any works to a flat, then you will most likely need a detailed planning application. 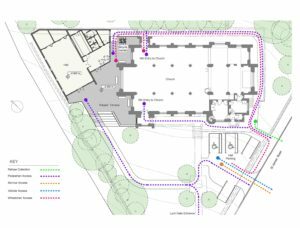 Full Planning Permission can even be necessary for quite minor alterations, if your building is in a special designated area or is a Listed Building. In these situations planning permission may be required to simply change windows , your front door or add a chimney flue. There is no guarantee of obtaining planning permission but there is much can be done to ensure success. We have an excellent track record and a proven method to maximise chances of success. The key is to produce a high quality design that responds carefully to the surroundings and the applicable planning constraints, whilst maximising the opportunity to get the most from your development. A good architect knows how to find just the right balance between over ambition or too much, and playing it too safe with too little. Too much and you potentially waste time and money in multiple failed applications, too little and you are missing out on maximising the development potential. The solution is to engage with the local authority and the neighbouring community early in the process. A collaborative design process prevents anxious objection and works with those people who have a say in what is going to be built. A high quality and responsive design needs to be documented with an equally good set of drawings to show off the design and sell it to people who take an interest in its success. 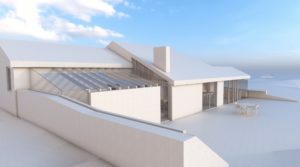 On larger projects or areas of special interest, it is frequently necessary to provide 3d computer renderings of the design as well as a ‘Design and Access’ statement that tells the story of the design, how it evolved, why its appropriate, what it looks like and how much of it there is. Another step in working towards a successful outcome is making a ‘Pre-Application’. It is looked on favourably by the Local Authority if you have engaged with the planning department during the design process before submitting the Full Planning Application and there is now a formal process to do this called pre-application advice. To do this an outline proposal is submitted to the council and within 30 days they will respond with feedback and advice on the likelihood of obtaining permission. Recommendations are usually given and it is also then possible to follow up with alternative options if necessary to iron out any contentious areas before the full application is made, therefore lowering the chance of it being rejected. How long: typically 8 -10 weeks or up to 16 weeks for major developments. These are not types of permission, but since they are places of special or historic interest where the character and appearance should be preserved or enhanced, additional conditions beyond standard planning conditions are placed on the development. Other than requiring planning permission as described above, in a conservation area it is also not permissible to demolish any part of a building or even some fences, walls or gates without consent to demolish. To do so without consent is a criminal offence. An area with an Article 4 Directive, shares similarities with Conservation Areas. But it usually only applies to perhaps a street or small area of buildings with very specific restrictions on what can or cannot be done. For example, permitted development might be prevented or a blanket rule might be enforced that no roof extensions can be built. A ‘listed building’ is a building, object or structure that has been judged to be of national importance in terms of architectural or historic interest and included on a special register, called the List of Buildings of Special Architectural or Historic Interest. In the case of a listed building, any works to alter, extend or demolish the building in a way that affects its character as a building of special interest require listed building consent from the local planning authority, whether planning permission is also needed or not. This status covers the entire building, internal and external, and so works which require consent might include the replacement of windows and internal alterations, for example. This does not prevent you from changing your building. But since Listed building control is a type of planning control, it protects buildings of special architectural or historical interest and gives the local authority a means to balance the historic significance of the building against other requirements such as function or viability. Listed building status can also result in the requirement for planning permission where it wouldn’t ordinarily be required – for example, the erection of a new enclosure. The consent will normally place additional conditions on the building work and will dictate the materials which can be used, often to match the same type and colour of the period. It is not wise to carry out any work to a Listed Building without permission. If you do it is an offence under the ‘Listed buildings and conservation area act 1990’ which could lead to a fine of up to £20,000 or imprisonment! Search here on The National Heritage List for England to check if your property is listed and if so what grade of listing it has. How long: typically 8-10 weeks. Users should note that this is an introductory guide and is not a definitive source of legal information. What activity does and does not require planning permission is matter of considerable complexity and failure to apply for planning permission when required can lead to an enforcement notice being served requiring reversal of the works. For further advice please contact us so that we can help you determine what planning permission might be required.